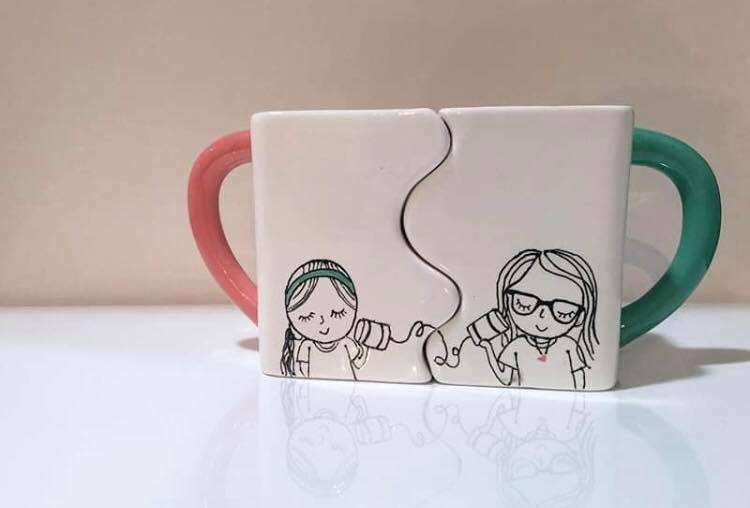 Join us February 6th with your favorite bestie to paint one of kind puzzle mugs! Mugs will be painted in glazes and returned back to New Realm by the 13th- just in time to share a cup of coffee (or vodka) with your favorite friend on Valentines. Ticket link will be set up *per person* so be sure to note your partner in crime in the notes section. Night of, each duo will get a set of puzzle mugs to design. Kelly, of the Mad Painter, will be on hand to help with any details or lettering, to help make your mugs just as fabulous as your friendship!